Due to popular demand… Copic 101 is back! Do you love coloring beautiful images? Have you heard about Copic alcohol-based art markers, but have no idea what they are or where to start? Or maybe you even own a few of them, but can’t seem to get the results you want on your own? FREE instruction – $5 supply fee. Easy and fun to do! Friday, April 19th. 7-9pm (doors open at 6:30pm) – held at the Jaycee Park Center for the Arts, 1975 Puritan Dr., Irving TX. Sponsored by the Irving Art Association. 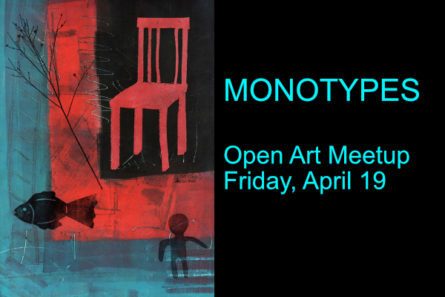 Friday, April 5th 7-9 pm (doors open at 6:30pm. Jaycee Park Center for the Arts, Irving TX 75061. 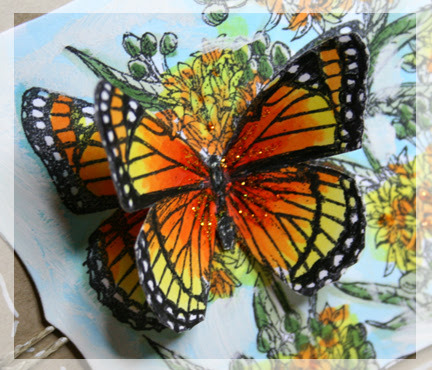 Your host will be Alicia Duncan – Learn how to paint rocks! 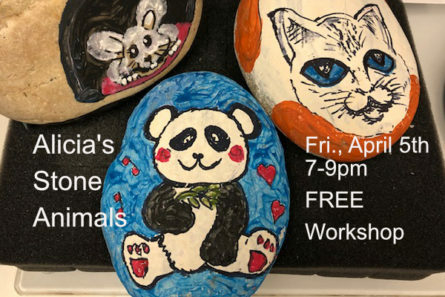 Alicia: Join our Stone Art fun — this time with animals! 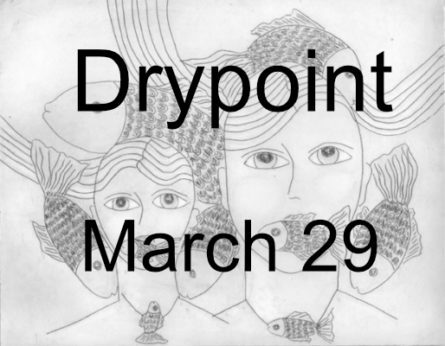 Drypoint prints workshop March 29 – simple technique, great results! FREE instruction; $5 materials fee. Register on our IAA Meetup site or email Junanne at junannepeck@mac.com. 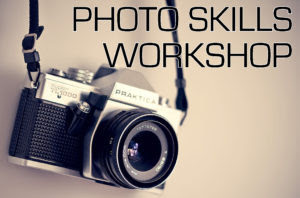 Review basic photography skills, techniques, and current photo trends. Sponsored by the Irving Art Association. Class fee of $25. Students must be registered and 18 years of age. 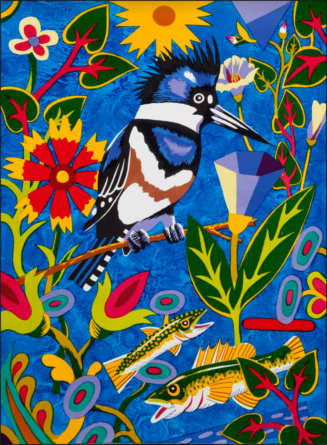 The Irving Art Association is proud to host an exhibit reflecting Persian culture and heritage. Judges for awards: Fari Rahimi, Yasaman Moussavi, Sara Rastegarpouyani, and Behnaz Sohrabi. Opening Wed, Mar 6. 7:00 – 11:00 p.m. When Artists Get Together with Heavy Road Equipment Big Things Happen! Texas Ink – Under Pressure is a collection of Steamroller prints by local Artist, created in parking lots throughout Texas. Here and Now: Prints by Carolyn Muskat is held in conjunction with the 2019 Southern Graphics Council International Conference in North Texas March 6-9. For 25 years, she has owned and operated Muskat Studios in Somerville, Massachusetts. Muskat is the recipient of the 2019 SGCI Excellence in Teaching Award. Jane Kahler will demonstrate oil painting on Sunday, February 3 during the monthly membership meeting of the Irving Art Association. Her subject will be painting landscapes. Doors open at 1pm and the meeting starts at 2pm at the Jaycee Park Center for the Arts, 1975 Puritan, Irving TX. Guests are welcome. Project for Friday, January 4, 2019 with be Pouring using the Swipe method. Sharon Giles will demonstrate how to mix paint for pouring and how to do the swiping method. The demo will start at 7pm. Location: Jaycee Park Center for the Arts, 1975 Puritan Dr., Irving TX. Sponsored by the Irving Art Association. The Irving Art Association offers FREE basic art classes for adults to get you started in art or in a new medium. Each class is a series of four held on Thursday nights 7-9pm for a month. The Free Basics Classes follow a progressive sequence where you will learn basic skills via instructor demo/lecture — exercise —-practice. The series is designed for beginners of a particular art medium. This is the second year that Irving Art Association has sponsored a juried exhibition devoted solely to photography. Curator of the show is Terry Cockerham.